This is a an outstanding book on the life of John Newton. Banner of Truth Trust, Carlisle, PA: 1868, 1998. In this excellent account of the life of John Newton the reader will come away with knowing John Newton more than just the hymn writer as most know of him. A most compelling story from start to finish begins with the young life of Newton as a young boy. The young John was as much eager to learn of the truths of God in the bible as his devoted mother was eager to teach him. At the age of seven things took a turn for the worse for young John as his mother was taken from him by death. Newton was no longer to be daily instructed in the word of God. Newton’s dad teaches young John the way of a seaman where John jr now a young man takes journey’s by sea only to become farther and farther away from his mother’s teachings of long ago which from time to time recollect his mind. With much anxiety you will read of the several times his life was spared most miraculously by the providence of God. Because of his fears, Newton ceases his path to the West Indies and settles in Africa, only to find that the days ahead would claim the most perilous times in his life; a life of poverty and ill treatment. Finally after twelve months of great poverty, Newton wrote to his father who then secured his safety into the hands of his Liverpool friend Mr. Manesty. Newton’s life began a much more happier one from this time forward. Newton now a passenger on board a ship, headed for England. It was on this journey that Newton began reading a book by “Thomas a Kempis” and though the reading brought good questions to his mind, Newton brushed them off. Newton awoke to a very violent tempestuous sea, his life now in grave danger. That night on approaching the captain, Newton said “I said almost without any meaning, If this will not do, the Lord have mercy upon us!” Newton then began to recognize what a wretched sinner he was and how unworthy he was for forgiveness. At God’s intervention again, Newton began to think of Jesus and what He had done and was then led to read the New testament in hopes of finding the sufficiency of the scriptures when he came upon Luke 11:13 “If ye, being evil, know how to give good gifts to your children, how much more shall your heavenly Father give the Holy Spirit to them that ask him? He was then led to pray to God for his Spirit and if the passage were true, then he would own it himself. It was the sovereignty of God in this situation as God spared his life and the men on the ship that Newton said “ I began to know that there is a God who hears and answers prayer. I was no longer an infidel. I heartily renounced my former profaneness. I had taken up with some right notions, and was touched with a sense of God’s undeserved mercy. I was sorry for the past, and purposed an immediate reformation. I was quite freed from the habit of swearing, which seemed to have been deeply rooted in me as a second nature. Thus to all appearance I was a new man.” Thus Newton was now a child of God. Newton now was taken to the sea as a slave trader in command of ship. Having never forgotten miss Mary Catlett, who was hoped to be his future wife, he endeavored to seek her out. They were indeed married. Then after six years of waiting on God to provide a church for him to pastor he gladly accepts the ministry in Olney. God brings Newton into a life of ministry as a very successful minister of the gospel. 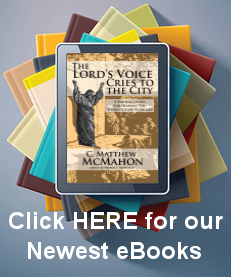 Through the many quotations throughout each page of this book, you will read of the wondrous ministry he engaged in. He made many prominent friends who remained his most faithful friends throughout his entire life. His daily life was filled up with preaching, helping those with domestic needs, writing letters, holding prayer meetings and visitation. Newton was a remarkable man in that he ministered faithfully all his days even when his sight failed him; Though most of his life he was blessed with excellent heath. He was very well liked by most people especially those of the churches he pastored. He had a pleasant ministry in many respects. John Newton loved God and was always reminded of his standing before God. He was a humble man and eagerly befriended people of all denominations. It is indeed certain that the readers of this book will come away encouraged and edified. John Newton was also the writer of 280 hymns including “Amazing Grace”, which spawned the title of this book as “But Now I See”.